Sophie Diana Schmidt (born 28 June 1988) is a Canadian professional soccer player who plays as a midfielder for National Women's Soccer League club Houston Dash and the Canadian national team, with whom she won a bronze medal at the London 2012 Olympics and the Rio 2016 Olympics. She previously played her club soccer for German club FFC Frankfurt and Sky Blue FC in the NWSL. 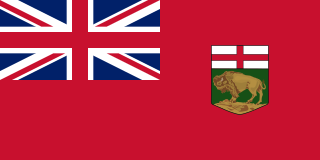 Manitoba is a province at the longitudinal centre of Canada. It is often considered one of the three prairie provinces and is Canada's fifth-most populous province with its estimated 1.3 million people. Manitoba covers 649,950 square kilometres (250,900 sq mi) with a widely varied landscape, stretching from the northern oceanic coastline to the southern border with the United States. The province is bordered by the provinces of Ontario to the east and Saskatchewan to the west, the territories of Nunavut to the north, and Northwest Territories to the northwest, and the U.S. states of North Dakota and Minnesota to the south. W.J. Mouat Secondary is a secondary school located in Abbotsford, B.C. The school was recognized in the August 23, 2004 edition of MacLean's magazine as one of the "Ten Most Innovative Schools in Canada." The University of Portland is a private Roman Catholic university located in Portland, Oregon, United States. It is affiliated with the Congregation of Holy Cross, which also founded UP's sister school the University of Notre Dame. Founded in 1901, UP has a student body of about 4,000 students. UP is ranked 6th in the west for regional universities in 2018 by U.S. News & World Report. Christine Margaret Sinclair, OC is a Canadian soccer player and captain of the Canadian national team. She plays professionally for the Portland Thorns FC in the National Women's Soccer League (NWSL) and previously played for FC Gold Pride and Western New York Flash in the Women's Professional Soccer (WPS). A CONCACAF champion, two-time Olympic bronze medalist and 14-time winner of the Canada Soccer Player of the Year award, Sinclair is Canada's all-time leading scorer and currently second in all-time international goals scored for males or females with 180, behind Abby Wambach at 184. 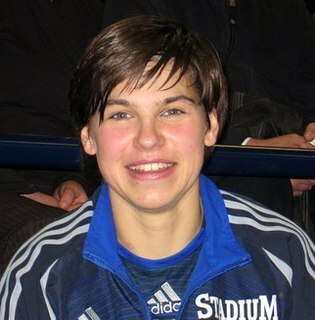 On 11 January 2013, she joined Sky Blue FC in the new National Women's Soccer League, Schmidt played two seasons with Sky Blue, making 42 appearances and scoring 8 goals. Sky Blue FC is a professional soccer team based in Piscataway Township, New Jersey, which has participated in the National Women's Soccer League since 2013. From 2009 to 2011, the team played in Women's Professional Soccer (WPS). 4 2012-01-23 [m 4] Vancouver, Canada Costa Rica 60. 5 2012-02-28 [m 5] Larnaca, Cyprus Scotland 77. 8 2013-03-06 [m 7] Larnaca, Cyprus Switzerland 86. 10 2014-03-05 [m 9] Nicosia, Cyprus Finland 72. 13 2014-06-18 [m 11] Vancouver, Canada Germany 80. 17 2016-08-12 [m 14] São Paulo, Brazil France 81. 18 2017-03-03  Almancil, Portugal Russia 78. Birgit Prinz is a German retired footballer, two-time FIFA Women's World Cup champion and three-time FIFA World Player of the Year. In addition to the German national team, Prinz played for 1. FFC Frankfurt in the Frauen-Bundesliga as well as the Carolina Courage in the Women's United Soccer Association (WUSA), the first professional women's league in the United States. Prinz remains one of the game's most prolific strikers and is the second FIFA Women's World Cup all-time leading scorer with 14 goals. On 12 August 2011, she announced the end of her active career. She currently works as a sport psychologist for the men's and women's teams of 1. Bundesliga club TSG 1899 Hoffenheim. Carli Anne Lloyd is an American soccer player. She is a two-time Olympic gold medalist, 2015 FIFA Women's World Cup champion, two-time FIFA Player of the Year, and a three-time Olympian. She currently plays for Sky Blue FC in the National Women's Soccer League and the United States women's national soccer team as a midfielder. Lloyd scored the gold medal-winning goals in the finals of the 2008 Summer Olympics and the 2012 Summer Olympics. She captained the United States to victory in the 2015 FIFA Women's World Cup as well as appeared in the 2007 and 2011 FIFA Women's World Cup. Ursula Ulrika Holl is a retired German footballer. She currently works as the goalkeeping coach for Bundesliga side Bayer Leverkusen. Ariane Hingst is a German footballer. Primarily utilized as a defender or a defensive holding midfielder. Hingst announced in the middle of 2011 that she would be retiring from international football with the German national team. In addition it was announced by 1. FFC Frankfurt manager Siegfried Dietrich that Hingst had left the Frankfurt club. Saskia Bartusiak is a German footballer. She plays in a centre back position for 1. FFC Frankfurt. Sara Kristina Thunebro is a Swedish former footballer who was a defender for the Sweden women's national team. At club level Thunebro played for Eskilstuna United DFF, Tyresö FF and Djurgårdens IF of the Damallsvenskan, as well as FFC Frankfurt of the Frauen-Bundesliga. 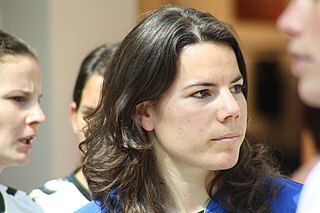 Making her international debut in 2004, Thunebro won 132 caps and represented her country at the 2009 and 2013 editions of the UEFA Women's Championship. She also played at the 2007, 2011 and 2015 FIFA Women's World Cups, as well as the 2008 and 2012 Olympic football tournaments. An attacking left-back, her trademark on the field was her white headband. Erin Katrina McLeod is a Canadian soccer player, Olympic bronze medalist and visual artist. A veteran goalkeeper for the Canada women's national soccer team, she also plays for SC Sand. She first appeared for the Canada women's national soccer team at the 2002 Algarve Cup and has since made 116 appearances for the team. In 2012, as part of the Canadian Soccer Association's Centennial Celebration, she was honoured on the All-Time Canada XI women's team. Alexandra Patricia Morgan Carrasco is an American soccer player, Olympic gold medalist, and FIFA Women's World Cup champion. She is a forward for Orlando Pride in the National Women's Soccer League (NWSL) and the United States national team. Since 2018, she co-captains her national team alongside Carli Lloyd and Megan Rapinoe. Alexandra Blaire Krieger is an American soccer player and FIFA Women's World Cup champion. Primarily a defender, she is a member of the United States women's national soccer team and currently plays with Orlando Pride of the National Women's Soccer League, the highest division of women's soccer in the United States. She first appeared for the United States national team at the 2008 Four Nations Tournament during a match against Canada on January 16, 2008. She has since made 99 total appearances for the team. Diana Beverly Matheson is a Canadian international soccer player. She represents Canada on the Canada women's national soccer team and currently plays for Utah Royals FC in the National Women's Soccer League (NWSL). She previously played for the Washington Spirit in the NWSL and Team Strømmen in the Toppserien, the top division league in Norway. She is best known for scoring the bronze medal-winning goal for Canada in the 92nd minute against France at the 2012 Summer Olympics. She also won a bronze medal at the 2016 Rio Olympics and gold medal at the 2011 Pan American Games with the senior national team. Rhian Emilie Wilkinson is a Canadian professional soccer defender and former striker who last played in 2015 for Portland Thorns FC in the National Women's Soccer League. She was also a member of the Canadian national team, with whom she won an Olympic bronze medal at London 2012. She has played as a forward and midfielder, but is primarily an offensively-minded right fullback who carries the ball forward and makes crosses in the attacking zone. Dzsenifer Marozsán is a footballer who plays professionally for Olympique Lyon in France and captains the German national team. She previously played for 1. 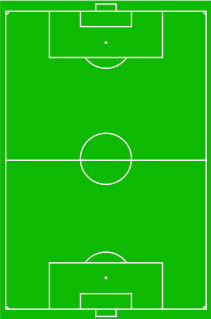 FC Saarbrücken and 1. FFC Frankfurt in Germany's Frauen Bundesliga. Meghan Elizabeth Klingenberg is an American soccer defender and FIFA Women's World Cup champion.She is a former member of the United States women's national soccer team and currently plays for Portland Thorns in the National Women's Soccer League (NWSL). She previously played for 3 teams in the Women's Professional Soccer (WPS) league, Tyresö FF in Sweden's Damallsvenskan and the Houston Dash in the NWSL. Kaylyn McKenzie Kyle is a Canadian soccer player who last played as a midfielder for the Orlando Pride in the National Women's Soccer League. She is also a member of Canada women's national soccer team, winning a bronze medal at the 2012 Summer Olympics, and is a Right To Play ambassador. Jonelle Filigno is a Canadian soccer player who last played for Sky Blue FC in the National Women's Soccer League. She played for the Canadian national team, with whom she won an Olympic bronze medal at London 2012. Jessie Alexandra Fleming is a Canadian soccer player who plays as a midfielder for the UCLA Bruins and the Canadian national team, having made her senior debut at age 15 years 278 days. ↑ "2015 World Cup" (PDF). Retrieved 14 August 2018. 1 2 3 4 5 6 7 "No. 13 Sophie Schmidt". University of Portland. Retrieved 11 January 2013. ↑ "Canadian Women International, Sophie Schmidt: "My faith is the single most important thing to me" - Cross the Line". 3 March 2016. Retrieved 14 August 2018. ↑ "Schmidt thrives as magicJack's unknown superstar". Sun Sentinel. Retrieved 11 January 2013. ↑ Sigurdsson, Albert (2 April 2012). "Sweden: Sophie Schmidt signs with Kristianstads DFF". WSoccerNews.com. Retrieved 4 April 2012. ↑ "Chatting with Sophie Schmidt: Abbotsford's Olympic bronze medalist has a vision for Canadian soccer". Cascade. Retrieved 11 January 2013. ↑ Davidson, Neil (31 July 2015). "Canadian international Sophie Schmidt signs with European champion Frankfurt". The Globe and Mail . Retrieved 31 July 2015. ↑ "Canada Soccer announces roster for International Friendly against Brazil 2 September in Ottawa". 22 August 2018. Retrieved 22 August 2018. ↑ "Sophie Schmidt player profile". Canadian Olympic Committee. Retrieved 11 January 2013. ↑ "Olympic women's soccer: Sophie Schmidt, Christine Sinclair win bronze medals as Canada beats France". Oregon Live. Retrieved 11 January 2013. ↑ "Schmidt: Our time has come". FIFA. Retrieved 11 January 2013. ↑ "Schmidt, Sinclair power Canada to 3-0 win over Finland at Cyprus Cup". Vancouver Sun. Retrieved 5 March 2014. ↑ "Sophie Schmidt Profile" . Retrieved 31 January 2017. ↑ "Canada vs Russia- 2017-03-03". Canada Soccer Association. 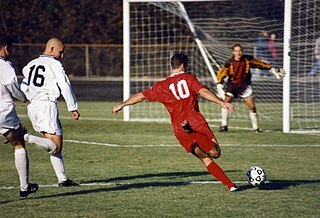 ↑ "Canada vs France - 2005-04-27". Canada Soccer Association. ↑ "Canada vs Netherland - 2006-03-04". Canada Soccer Association. ↑ "Canada vs Ghana - 2007-09-15". Canada Soccer Association. ↑ "Canada vs Costa Rica - 2012-01-23". Canada Soccer Association. ↑ "Canada vs Scotland - 2012-02-28". Canada Soccer Association. ↑ "Canada vs Sweden - 2012-03-31". Canada Soccer Association. ↑ "Canada vs Switzerland - 2013-03-06". Canada Soccer Association. ↑ "Canada vs Scotland - 2013-12-22". Canada Soccer Association. ↑ "Canada vs Finland - 2014-03-05". Canada Soccer Association. ↑ "Canada vs Republic of Ireland - 2014-03-12". Canada Soccer Association. ↑ "Canada vs Germany - 2014-06-18". Canada Soccer Association. ↑ "Canada vs Japan - 2014-10-28". Canada Soccer Association. ↑ "Canada vs England- 2015-05-29". Canada Soccer Association. ↑ "Canada vs France- 2016-08-12". Canada Soccer Association. Wikimedia Commons has media related to Sophie Schmidt . Evans, Hilary; Gjerde, Arild; Heijmans, Jeroen; Mallon, Bill. "Sophie Schmidt". Olympics at Sports-Reference.com. Sports Reference LLC.